We are thrilled to announce that the Women’s Cancer Research Fund (WCRF) is joining forces with the Breast Cancer Research Foundation. 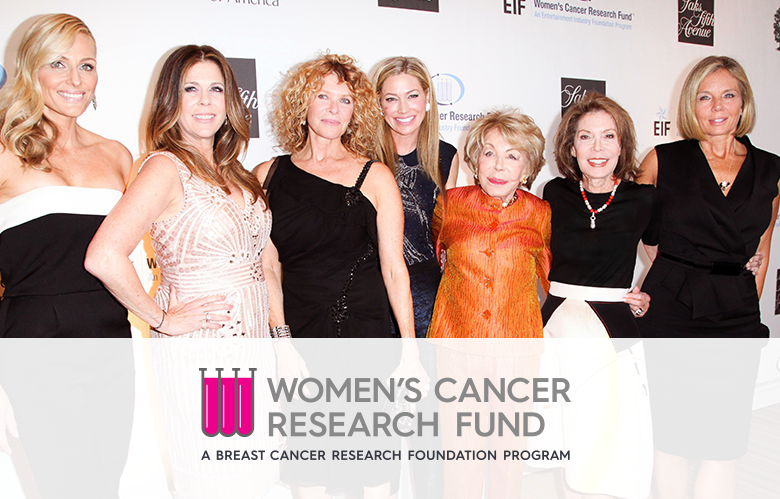 Based in Los Angeles, the WCRF mobilizes the influential entertainment community to raise critical funds to support cancer research, and the exciting new collaboration with BCRF will allow WCRF’s impact to go further in its ability to fast-track more effective approaches to the study and early diagnosis of women’s cancers. WCRF is honored to collaborate with BCRF and work under their powerful umbrella, and hope you will join them in taking this historic step to unite with a singular mission of funding the best and most innovative cancer research worldwide. To that end, BCRF will announce its collaboration with WCRF at The Hot Pink Party, BCRF’s signature event of the year, and we invite you to join us as we grand-stand in support of WCRF’s bright future. The Hot Pink Party raises between $5-7 million annually, and will provide the grandest setting to officially introduce this momentous collaboration. We hope you will join us on Tuesday, April 12, 2016 at the Waldorf Astoria in New York City to help us celebrate.